We are already counting the days, the hours, the minutes... we will return to Jabbeke quite soon! Last year we lived an enriching and unforgettable experience, where we learned, enjoyed and strengthened bonds with many SpotModelers and with a few of our (your) distributors. We have such a good memory of what we experienced, that we are absolutely looking forward to being there again. And to share our excitement, we want to have a little detail with all our customers we meet there: come and meet us in person, have a little chat with us and we will make you a gift. SpotModel on the road to Jabekke... here we go! 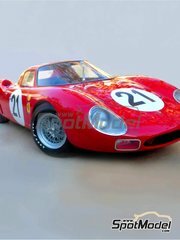 Limited time re-edition of this beautiful Formula 1. In the box you will also find the Tobacco sponsor decals, along with the rest of the decoration. 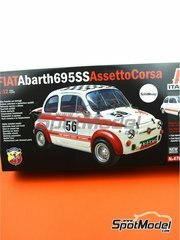 The kit allows you to recreate either the Fiat Abarth 695SS or the Fiat Abarth 695SS Assetto Corse. The total length of the model once assembled is approximately 25 centimeters. Manufactured with new molds, it also allows you to open the hoods and doors, and both the steering wheel and the shock absorbers are fully functional. 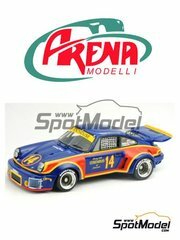 Extensive and detailed kit by Arena for recreating the Porsche Carrera RSR by Holbert as it raced in 1974 and 1976 at the USA. 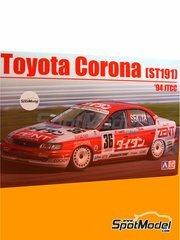 Kit of the Toyota Corona ST191 as it raced in the 1994 Japanese Touring Car Championship. Includes decals for two different numbers, and a more than perfect cut for a weekend assembly. Do NOT forget the Beemax photo-etched parts set for this kit! 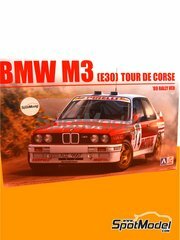 Rally version of the BMW M3 E30. Unlike the track version, the kit includes the rims and other parts that this BMW equipped in the asphalt rally events. Do NOT forget the specific Beemax photo-etched parts set for this kit! The kit does NOT include the Bastos sponsor decals. 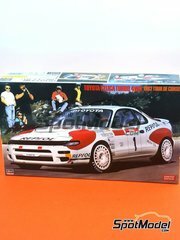 Decoration of the winning car at the 1992 Boucles de SPA rally. 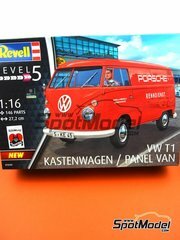 New version of the famous Volkswagen T1 van, this time with the livery of the workshop vehicles used by Porsche as race assistants with occluded read side windows. 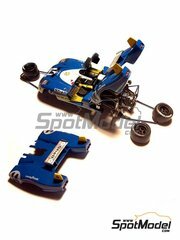 Among the 146 parts listed, the kit includes a fully detailed engine and chromed parts. 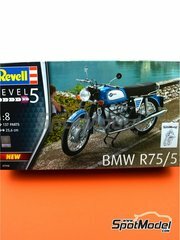 Limited-time reedition of this Revell kit recreating the classic BMW R75/5. It includes chrome parts, rubber tires, vinyl tubes, and decals with license plates from several countries. 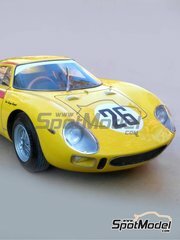 Nothing less than the winning machine of the 24 Hours of Le Mans of 1965, recreated in 1/12 scale by Profil24. 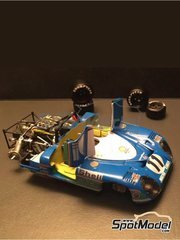 Nothing less than the machine that finished in second position in the 24 Hours of Le Mans of 1965, recreated in 1/12 scale by Profil24. 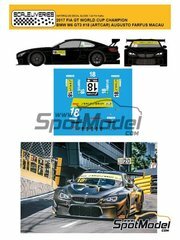 New Profil24 kit in 1/43 scale, recreated with a wealth of details and including a fully detailed engine. Mind blowing!! 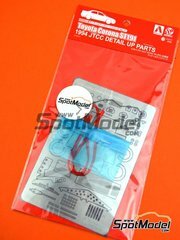 Fantastic detail-up for the Toyota Corona ST191 scale model. In addition to harness fabrics, it also includes the turned metal antenna, and photo-etched parts for detailing the interior, brake discs, grids, etc. Spectacular decals of chromed lines in assorted widths: 0.15, 0.2, 0.3, 0.4, 0.6, 0.8 and 4.5mm. 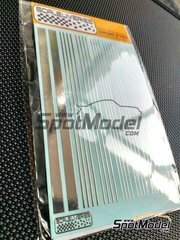 They are manufactured with a new technology that produces extremely bright metal decals with a high reflection capacity. It is perfect for moldings in all types of trucks and antique cars, decorations in racing cars, for simulating clamps and other metal parts in all types of engines, etc. 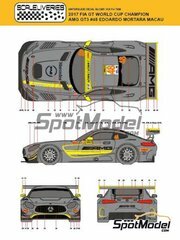 Decoration of the winning Mercedes AMG GT3 at the Macau 2017 World GT Championship. If you look at the decals under the ultraviolet light, you will discover how the yellow bands of the decal take on a life of their own with intense and fluorescent colors. 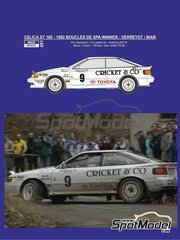 New edition of the Toyota Celica Turbo 4WD with which Carlos Sainz took part in the 1992 Tour de Corse. In addition to the extensive parts listing in plastic, it also includes a small sheet of photo-etched parts with the harness buckles and other interesting details. 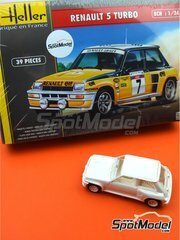 A new re-edition of the classic Renault R5 Turbo scale model kit, racing at the Tour de Corse. 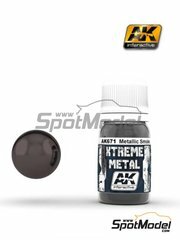 Pale brass like paint from the Xtreme metal paint range by AK interactive. It is served in 30ml bottles and prethinned, ready for airbrush applications. 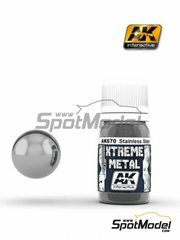 Metallic smoke like paint from the Xtreme metal paint range by AK interactive. It is served in 30ml bottles and prethinned, ready for airbrush applications. 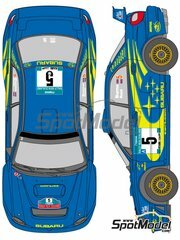 Newly redesigned and freshly printed in Japan decals, perfect for replacing your old decals on the Subaru Impreza WRC kit by Tamiya. 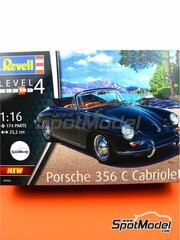 New kit of the Porsche 356 cabriolet, in its 1964 configuration. 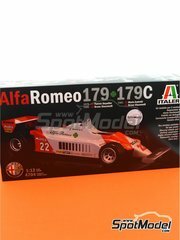 As usual in this scale, the kit includes a fully detailed engine, operative hood and doors, and more than 170 parts for having a really good time building one of the most beautiful cars of the twentieth century.